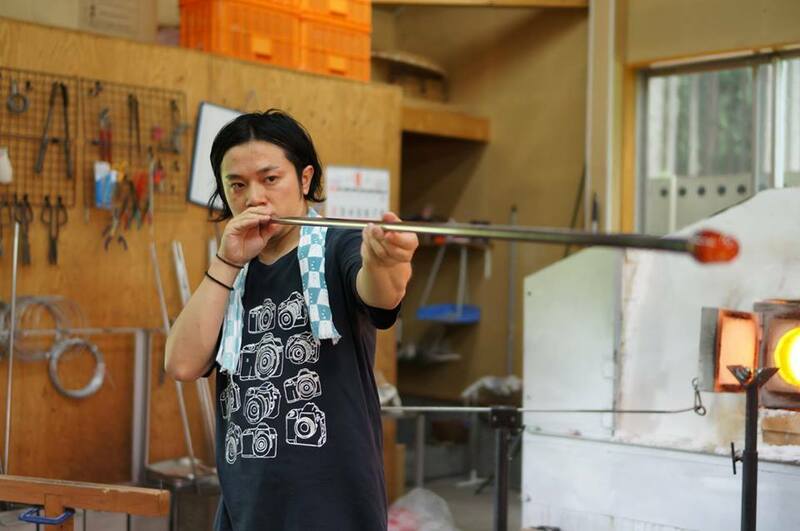 He is Souichi Komatsu, who is glass artist from Akita. He started his career in Murano in Italy which is the home of Venetian glass, and then gained more experiences at the internal school and atelier. 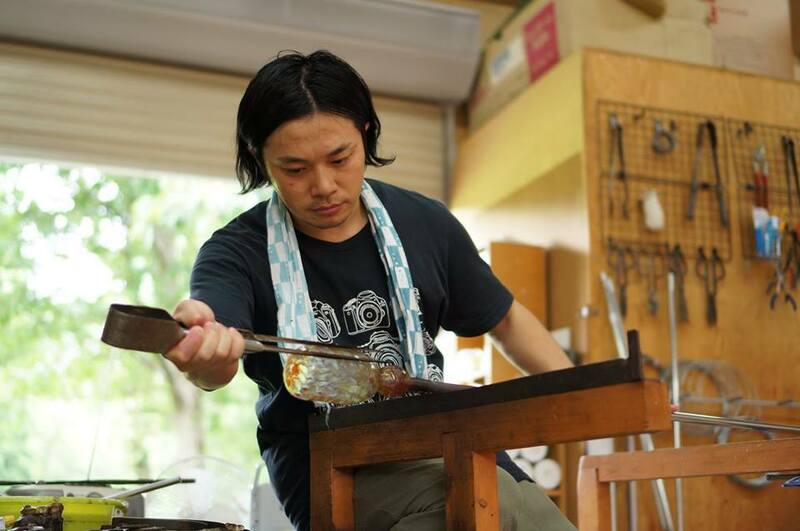 In his works, the graceful atmosphere and friendliness for everyday use exist together. When this photographing, he blew his work (the first photo), while imagining a person who serves selected delicious sake to glass. This is attractive shape that you will want to use from today’s dinner after taking it home. 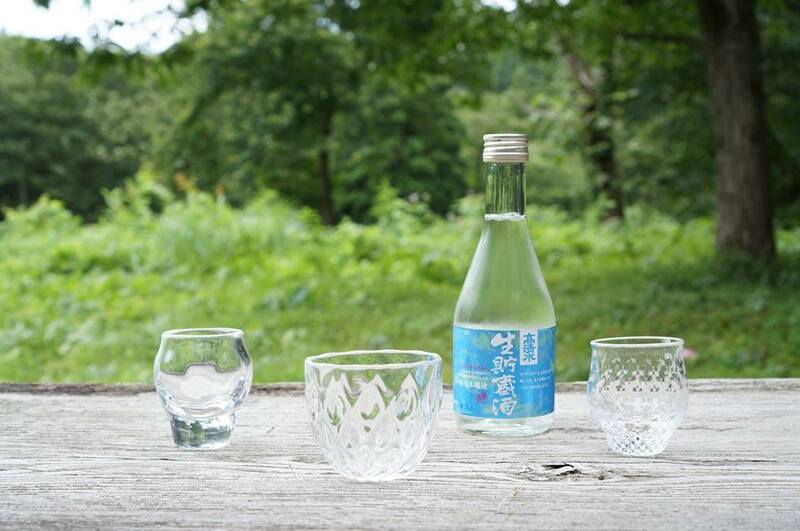 This glass surely makes your evening drink more tasteful.